3) A “dream” bottle option. Maybe your giftee is a big fan of smooth irish whiskeys. If they’re looking to make a transition from smooth to flavorful, the Auchentoshan Classic is a great segue. It’s triple distilled like many irish whiskeys but still as flavorful as any Scotch in this price range. A great beginner scotch also for the new-to-scotch friends in your life. I cannot emphasize enough how beginner friendly this liquid is. Full of tree fruits, it’s hard to put this dram down. I think this is the second year I’ve recommended this scotch and it’s definitely one that makes a great gift. It’s my go to gifting bottle for friends who are new to scotch drinking. This bottle is pretty new to the Glenlivet line but tastes fantastic. This is for your scotch drinker who’s tasted a dozen or two scotches and has a good idea of the flavor profile that they like. It’s high ABV at cask strength is something to be aware of. Buying this bottle is almost like buying two bottles for the drinker that adds water to find flavor. In terms of flavors, it’s oaken spices meets sugar and butter creme all over a mashed pear drizzled in cinnamon and pepper! Can I do two dream bottle options?? This bottle quickly became my nightly sipper. It’s tannic grapes meets soft red apples meets cane sugar and sweet corn cereal. You can’t go wrong with this amazing offering from Glenfiddich. This is the smoothest and almost the most affordable 40 year scotch out there. Oak, cherries, creme, granulated sugar, a touch of pepper, cantaloupe, and just a touch of smoke. WOW oh WOW oh WOW. This would definitely make the dream bottle list but we haven’t done a formal review on it so it will have to wait until next year at the soonest. This actually replaced my Glenfiddich 19 as my nightly sipper after I purchased it. It’s an amazingly balanced scotch. I’m not even a fan of peat but level of peat and smoke in this tasty morsel mixed with actual fruit flavors equals an AMAZING daily dram. As always, enjoy responsibly with friends! 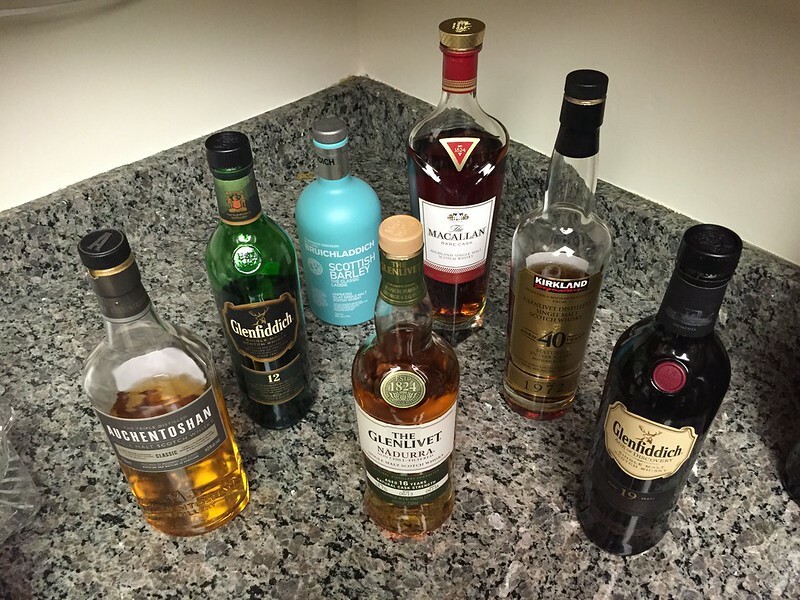 Next Post Scotch’s 2014 Christmas Scotch Gift idea list Extravaganza Part II ! !